My baiting program is used with an environmental consideration. In contrast to liquid chemical treatments, which use hundreds of litres of chemical solution, This Program uses only a few grams of active ingredient when and where needed to wipe out the colony. My baits can be placed where active termites are found and when colony elimination is achieved, they are removed. Termite Baits are only there when you need it and then I provide professional ongoing monitoring for new termite attacks. Termites are ground-inhabiting, social insects that live in colonies. A colony can number several million individuals. New colonies are formed when winged mates and females from the parent colony emerge in flight and swarm. In nature, termites are an important part of the food chain as they help remove dead wood from the bush and forest and turn it into organic matter. They do not eat live trees, although certain types do live in them! 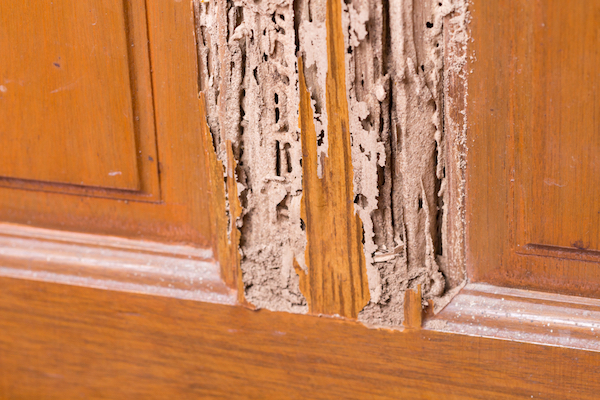 Yet let loose on an average home, termites can and do wreak havoc – causing more than $80 million dollars worth of damage to homes in Australia each year (NRMA Report 1994). Every termite colony consists of 4 castes, each having a specific role within the colony’s social structure. Reproductive, The King and Queen Termite are central to any vibrant termite colony, with the Queen acting as an egg-laying machine. This caste provides all of the labour for the colony including searching for and collecting food, feeding all other castes and immatures, grooming others within the colony, cleaning, maintenance and building for the colony. The soldier caste protects the colony from invasion by other insects. Soldier termites are fed by the worker termites as they are unable to feed themselves. Alates are winged reproductive that fly from the nest in their thousands eager to establish a new colony. Because alates are poor flyers they generally only fly some 50 to 100 m from the parent nest. As such, when observing flying alates you can generally be assured a termite nest is nearby. 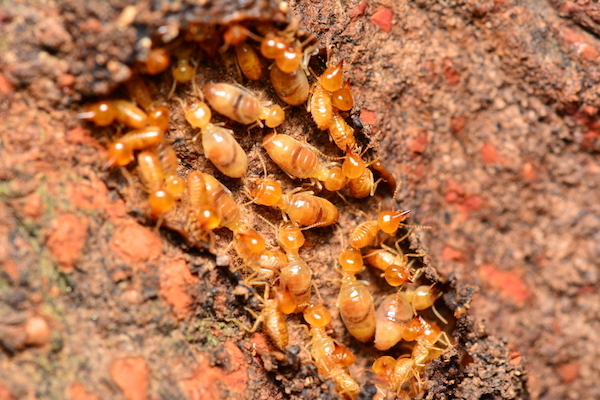 Worker termites are continuously and randomly foraging for new food sources. This behaviour means the traditional methods for managing termites, ie. Chemical and physical barriers, are frequently found to be ineffective as the termites find areas of weakness where these barriers may have been inadvertently breached. Termites live up to 1.5 metres underground in colonies that can be as large as 1,000,000 termites. Like all ants they are social creatures and will look for food sources up to 100 metres from their nest, entering homes through cracks in the concrete slab as small as 0.3mm wide, through weep holes in wall cavities, in-fill patios and enclosed wall cavities. They travel through mud tubes about the diameter of a pencil, that they build and the presence of these is a tell tale sign of termite activity. Of course, no evidence of mud tubes does not necessarily mean that there is no termite activity. Termites have hard saw toothed jaws that work like shears, biting off tiny fragments of wood, a piece at a time. As they live off the cellulose in wood they will happily chew their way through flooring, timber bearers, floor and ceiling joists, timber trims and wallboards. Over time the most serious damage they cause is loss of structural strength, and repairs of that nature are not necessarily cheap. A professional inspection, performed to AS3660, will take note of all visible evidence of termite activity found, the details of entry points that are inaccessible to inspection and recommendations for termite control and protection for the future. These would include removal of any termite colonies and possibly the establishment of a barrier in the soil. Please note that it is very important that if a termite colony is found, that they are left undisturbed, as this would affect the treatment to be applied.